The final selection camp for the US Women’s Teams competing at the City of Jesolo Trophy, the Pacific Rims Gymnastics Championships and the Tokyo World Cup will be this weekend at the women’s national team camp. These camps are held roughly every month at the USA Gymnastics National Team Training Center at the Karolyi Ranch in Huntsville, Texas. Sometimes these camps are to help in training and preparation, but other months they are more the format of a meet. The results of these internal meets help determine the assignments for individuals and composition of teams for upcoming competitions. The March training camp is generally one of these such camps, selecting teams for the spring competitions. Team USA’s entries for the City of Jesolo Trophy (to be held March 22-23 in Jesolo, Italy) will be announced on Monday at the conclusion of the camp. The gymnasts representing the USA at the and the 2014 Pacific Rim Gymnastics Championships (April 9-13 in Richmond, B.C., Canada) and the Tokyo World Cup, (April 5-6 in Tokyo, Japan) will be announced later in the month. Each athlete wanting to represent the US at these competitions will have to show that they are ready to compete full-routines in an international competition setting to Martha Karolyi and the rest of the selection committee. The selection committee will look at their current state of readiness along with each gymnast’s track record to determine the make up of these teams. Three seniors and three juniors will be selected to represent the US at the Pacific Rims Gymnastic Championships. At least six juniors and six seniors will be selected to represent the US at the City of Jesolo Trophy. The juniors and seniors attending the camp and vying for spots are listed below. Current national team members are denoted in bold. If a gymnast is selected who is not currently on the national team, they will be added to the national team before competing internationally as well. Lexie Priessman, Amelia Hundley, McKayla Maroney and Laurie Hernandez are the current national team members who are not in attendance. Kyla Ross joins the distinguished company of gymnasts Carly Patterson, Nastia Liukin, Jana Bieger and Rebecca Bross as World Championships All Around Silver medalists. Kyla put in an incredible all around performance, counting only small, tiny mistakes in her performance. Kyla has put a great deal of time and effort into her artistic and dance performance aspects of beam and floor. Not only did this pay off in the scores on these event, but in winning the Longiness Prize for Elegance. This is an incredibly prestigious award that goes to the athlete who demonstrates the most remarkable elegance during the all-around final of an international competition at the world level. Winning over gymnasts such as Mustafina is quite a feat, and shows just how much Kyla has improved in this area. Kyla started off the competition with an almost flawlessly executed vault. She didn’t stick it, but it hardly gets better than this. She has a lower difficulty vault than only Simone, but scored the highest execution score of the competition. She moved on to bars where she once again scored higher than anyone else on the execution score, and posted the third highest bars score of the competition. It was a beautiful, typical Kyla, bar set. Kyla moved into beam just barely trailing Simone. Simone put up a good set, but not her best. Then two gymnasts before her fell. I was glad to see Kyla turning away from it all, not watching! Kyla went up and did a beautiful beam routine, earning her third consecutive highest E score of the competition, and the highest beam score of the night. Kyla pulled into the lead heading into floor. She did a beautiful floor routine with an E score beat only by simone. However her difficulty led her to the 7th highest floor score of the night, and ultimately to the silver. Kyla, like Simone showed incredible sportsmanship and from this unemotional girl, you could really see that she was just enjoying the experience. She was all smiles. What an incredible, consistent all around performance she put on! WHEN she upgrades back to her amanar, she will undoubtedly be in the hunt for the gold. Kyla Ross has moved from the event specialist to solid USA All Arounder in her second senior year. She has moved from the youngest to the team leader. She is an incredible friend, incredible cheer leader, and incredible gymnast. It is hard not to be impressed with her. Ramping up the competition, Simone Biles also looked great in podium training. Simone has so much power, she is great to watch on vault. In her first vault, she took a much bigger step than usual, but the second vault had her normal catlike landing. No problem on bars, clean with a stuck dismount. This might be one of the best beam routines I have seen Simone do. She is attacking the beam in Rebecca Bross style, and just hits. And her landing on a very tough dismount is just awesome! Some people have said that Simone’s floor routine was one of the few things to get a spontaneous round of applause from the audience. It isn’t hard to see why. 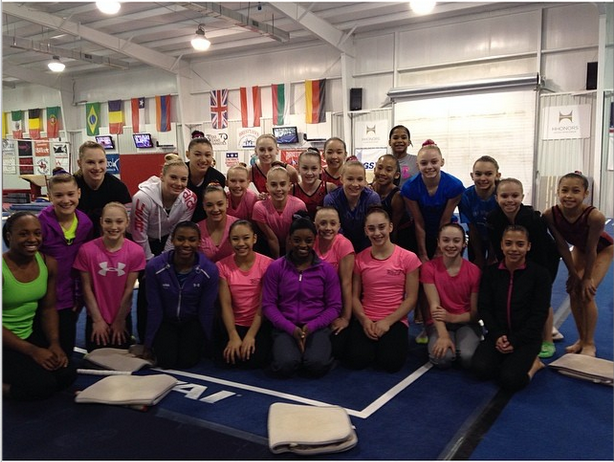 Smiles galore, sassy dance, hit leaps and jumps and the best landings I have seen in podium training. This girl is on fire! Cute girl! She is just soaking it all in, loving the experience and having fun. Just what you want to see in a first senior outing. No nerves here. Kyla looked beautiful in podium training, as always. She has one of the most beautiful DTY being performed with just the slightest of little slides of her landing. Her bars today weren’t quite as effortless and fluid as usual. In Gymnastike’s Beyond the Routine with Kyla done just before World’s Selection camp, Kyla was having a little trouble on bars and actually said that it was her hardest event. Should we be concerned? Nah. Kyla has been the most consistent bar’s performer of all the gymnasts going for the bar’s title. I am sure that she will put up the same beautiful routine she always does. Kyla’s beam looked like always- like she is dancing in the clouds. So light and effortless. A small wobble and a bigger step than normal on her dismount. But she looks great. Every time I watch this routine, I just CANNOT believe how far she has come in her performance this year. This routine is interesting, beautiful, has great musicality and expression of the music. In all honesty, I love it. I never thought I would say that. I LOVE Kyla Ross on floor. She needs to clean up her landings to save on those precious points. But it is as likely for her to stick her first two/three passes as not. The highlight. Who would have thought that shy little Kyla could become so incredibly comfortable, herself, and fun in front of the camera. Love this girl. USA: Perform. Hit. CELEBRATE! Repeat. In the world of gymnastics, the days of perfect 10s are long gone. As the difficulty of the routines has continued to rise, it is rare to see a competition without a number of falls and major mistakes. In fact, that has become common place. But not so, it seems for the USA Women’s Gymnastics Team. In 2011 the USA women came out and rocked podium training, qualifications and team finals. In all those performances, they didn’t have even one routine with major mistakes. It was the most dominant performance in women’s gymnastics recent history. The USA women were often referred to as a well oiled machine that went out and couldn’t miss. They won by over four points. What is exceptional, is not only their consistency, but their consistency doing some of the most difficult routines in the world. In past years, Romania has earned an incredible reputation for consistency. But though they do incredible gymnastics, they often choose not to go for the highest difficulty. Teams like Russia and China have usually gone for broke, bringing some of the most difficult gymnastics in the world. They depend on the fact that though they might fall, their difficulty will carry the day. What was incredible about the USA is that they brought some of the highest difficulty AND did it with incredible consistency. But that was Worlds and this is the Olympics. No matter what we try to pretend, the pressure of the Olympics is an entirely different story. And the USA competitors came in with a much stronger challenge. Russia is on the way to being back on their game and Romania is stronger than ever. 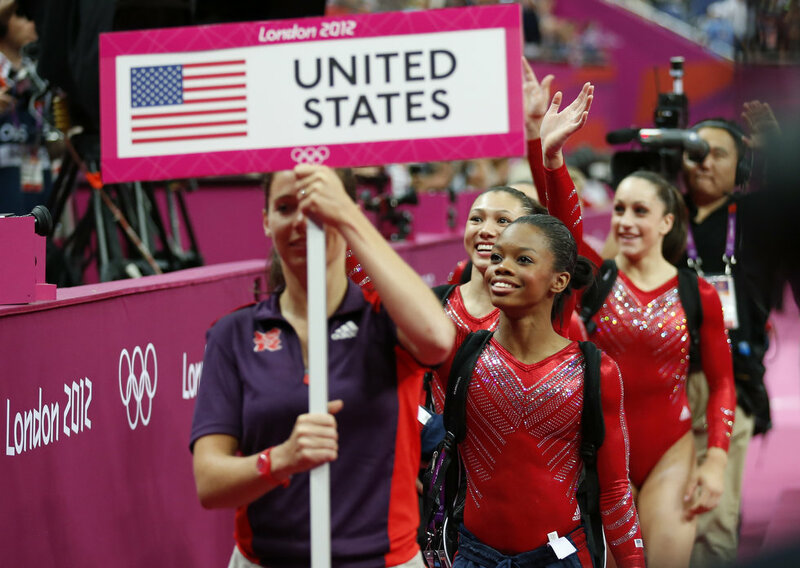 Though the USA was still expected to win, the expectation was winning by tenths not points. But try telling that to the women’s team. Though they are actually 15-18 year old girls, they do indeed seem to perform like machines in a team finals. They came out and hit every single difficult routine without exception. A few small wobbles were the only ground they gave throughout the entire competition. They did seem to be programmed robots. Just like last year, just like podium training and qualifications – perform, hit, repeat. But in team finals, they added in one ingredient to their former performances. Celebration. The otherwise stoic American women burst into cheers, smiles and celebration after each hit routine. They were a snowball rolling toward the final prize. Gaining momentum and excitement as they went along. Breaking out into unrestrained celebration when seeing the final scoreboard. The won by five points. A total blowout in the world of gymnastics. There really are not words to capture the emotions of the night and the incredible joy that the US women – and all their fans- felt. So instead, I will put the night in pictures. Congratulations Aly Raisman, Jordyn Wieber, Gabby Douglas, Kyla Ross and McKayla Maroney for one of the most difficult, consistent performances in women’s gymnastics in recent memory. You were amazing. For Jordyn Wieber, who fully expected to challenge for the All-Around gold during the 2012 Olympics, these Olympics have not turned out at all as she would have expected. She experienced the most devastating moment in her young life just two days ago. 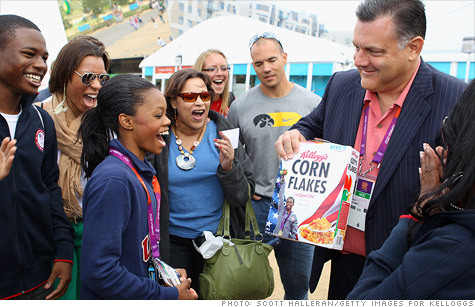 After catapulting toward the All-Around Olympic Gold medal for her entire career, she didn’t even qualify for the opportunity to win the title. Instead, her best friend Aly Raisman, who had the best meet of her life, and teammate Gabby Douglas would be representing the USA in the team finals. She couldn’t hold back her uncharacteristic emotions and the tears spilled forth. 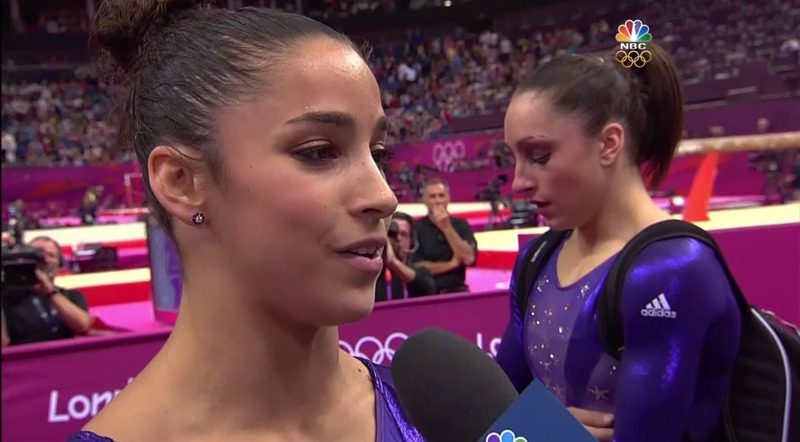 She tried to duck off the floor to compose herself but instead was ushered to the media zone, where NBC kept their camera with her just feet away as they interviewed Aly and Gabby, basically asking how they felt about beating Jordyn. After such a day, all most people would want is the opportunity to go home, let the pain sink in in private and cry themselves to sleep. Instead, Jordyn had to go home to her shared room with her best friend, one of the teammates who unexpectedly beat her, Aly Raisman. 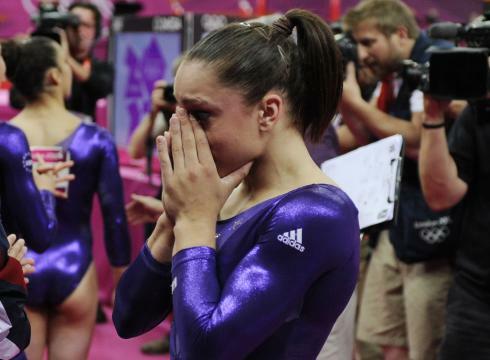 Aly spent these last two years supporting first Jordyn and then Gabby as she quietly sat in their shadows. Could Jordyn do the same? Even more importantly for team USA, could Jordyn pull her emotions together and turn in solid performances for the team just two days after seeing her lifelong dreams crushed? Could she come out, stand side by side with the teammates who took her dreams away and pursue her other dream – a USA team gold. I had no doubt what-so-ever. She is Jordyn Wieber. Today, Jordyn Wieber went out onto the competition for and showed her class. She hit two of her best performances ever- vault and floor and gave a clean bars set. But more than that, she cheered her heart out for her teammates. She was always the first to give Aly a hug, could be heard giving running commentary throughout the routines in the background and was the most expressive in celebrating her teams achievements. Maybe this dissapointment has brought out the real Jordyn. The Jordyn we saw in younger days and behind the scenes – fiery, emotional and fiercely loyal. Every time the camera was on her, she was either fiercely cheering on a teammate or giving the performance of her life. In the end, no one was happier to win the Team Gold. With her best friends. And so, Jordyn will be remembered as more than an All-around champion. She will be remembered as Best Friend and Class Act. As one who can put aside her own dreams and ambitions to be a part of the team. Jordyn Wieber, you have been tried. you have been tested. And you have been proven a true champion. True friend. True Competitor. An All-Around medal could never prove so much. Sometimes it is what we lose, not what we win, that proves our real mettle.